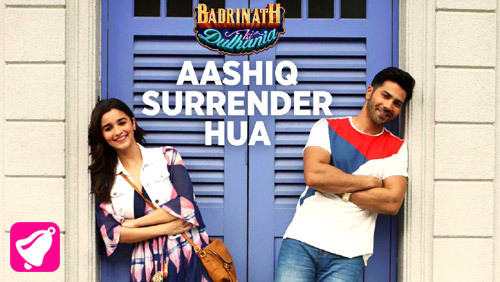 Aashiq Surrender Hua Lyrics from Badrinath Ki Dulhania is sung by Amaal Mallik & Shreya Ghoshal. Its lyrics are written by Shabbir Ahmed and music is composed by Amaal Mallik. Jo bhida mere, ae mister! If you find any mistake in lyrics of Aashiq Surrender Hua song please let us know in comments.